All you need is love… but wine and chocolate are fabulous too! February is a time for warm feelings and connections. 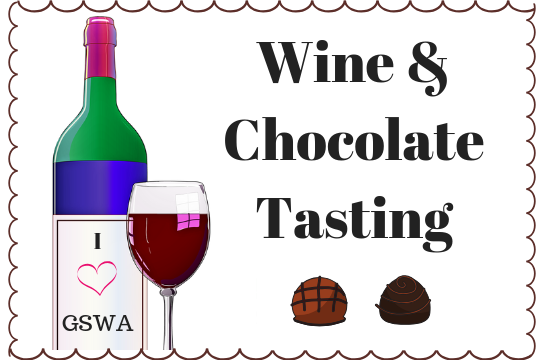 Keep the feeling going with your friends at GSWA, as we pair 8 different wines with just the right chocolates. You may even discover some great ideas for your Valentine’s Day and other celebrations. And best of all, it’s free to all non-GSWA members! Members, you can come for free too. Simply bring along a friend or two and it’s free for all of you!